Jonathan Cahn wrote a fictional novel called "The Harbinger" in 2012 that catapulted him into a best-selling author. The book warns of America's destruction by attempting to link the Al-Qaeda terrorism events done to the U.S.A. on 9-11-2001 to the ancient Assyrians terrorism events done to the kingdom of Israel in the 8th century BC before their eventual destruction. This book made him A LOT of money and brought him a TON of notoriety. So what would most people in that position want to do next? Write another book to make more money!!! And sure enough, Jonathan Cahn released "The Mystery of the Shemitah" in 2014 which did exactly that! This book pointed out the U.S.A stock market (DOW) had large one-day declines on Sept 17, 2001 and Sept 29, 2008, both days falling on the last day of the Israeli 7-year Sabbath (Shemitah) cycle -- Elul 29. Cahn then got on radio and TV for the last year promoting his book and continually warning that Sept 13, 2015 (Elul 29) could be a significant date for America. Guess what? It wasn't! Many more people jumped on the band-wagon this year embellishing Cahn's con by proclaiming all kinds of things to happen this September 2015 -- an asteroid strike, Jade Helm concentration camps, global financial collapse, martial law, CERN destruction, and even the rapturous return of Jesus Christ. Well again, guess what happened? Nothing! Listen to me ... Jesus Christ is NOT returning until the Feast of Trumpets 2028. We still have 13 years left! This is not some fictional novel proclaiming this. This is Biblically based truth! So let's focus our time and energy on spreading Christ's love to a lost and dying world instead of wasting it on lies. 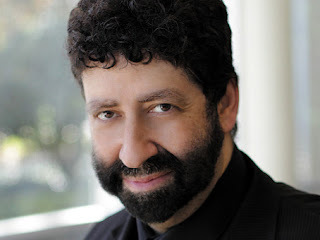 They (including Jonathan Cahn) will do it all again next year with a new date, but you know the REAL DATE -- Feast of Trumpets 2028! Approximately 677 Weeks (Sabbaths) Remaining Till Christ's Return!